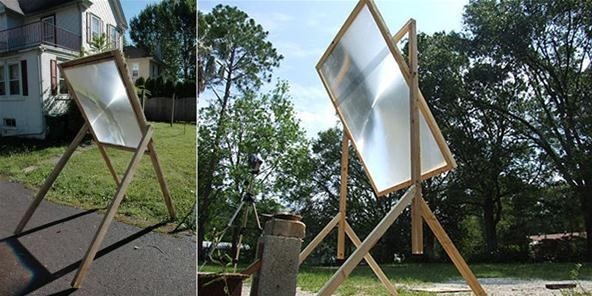 In this article, I'll show you how to make an awesome "Death Ray" using the large magnifying lens from an old projection TV. 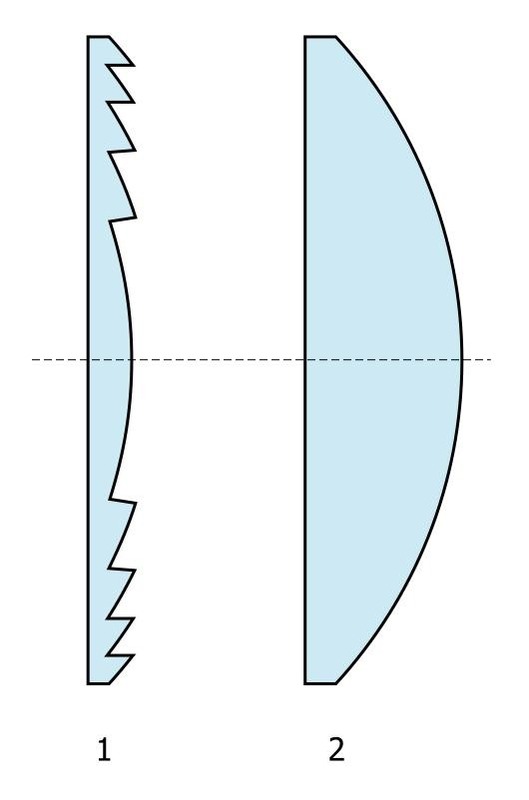 The lens is called a Fresnel lens; a device that employs several ridges to focus light, rather than a complete curve. When sunlight passes through the Fresnel lens, it changes direction towards one specific point. When several beams of high-powered sunlight meet at that point, it intensifies the power of the sun and incinerates anything in its way. You can read more about Fresnel lenses here. I'd recommend making a stand, it protects the lens and also is very convenient. However, it is quite bulky and hard to store. Here's a video of the lens in action! If you're interested in other directed energy devices, check out High-Powered Lasers and Electromagnetic Pulse Generators. THE SUN IS VERY DANGEROUS. ALWAYS wear eye protection, and DO NOT ever allow the beam to come in contact with skin, it will INSTANTLY burn you. DO NOT aim the magnifying lens at anything living! The lens is fragile, be careful. Power tools are dangerous! Be careful. Very cool way to decommission an old TV. 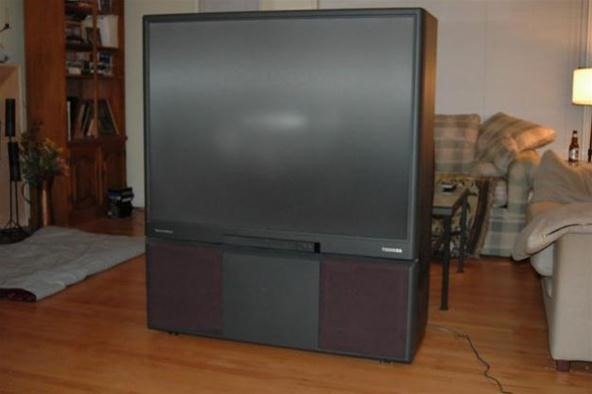 In fact, reading through some of your other tutorials, old TVs seem to be a treasure trove of parts for fun projects! OMG, I have so many available to me! LOL I have to see what happens when I focus 2 or more into one. I can barely believe what i have just seen, glass melting - 1400 to 1600 C wow! This could also be used in so many other ways. I just had a flash thought of Steam engine turbine powering a generator and also heating water for whatever the need be. there are so many available, people pay me to throw them away for them. i am going to get a load of lenses to store and just keep them for something in the future out in one of my sheds. up close and not focused to such a great point these would be a gnarly intensifier internally in a home made solar panel.